Sales forecasting is an essential process for most businesses. It helps guide the efforts not only of the sales function but also of finance, operations, manufacturing and customer service. 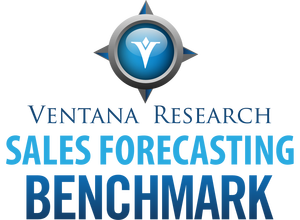 Our recently released sales forecasting benchmark research reveals significant insights and best practices that can help companies optimize the effectiveness of this process. I recently wrote that most sales organizations need to make significant changes to the way they do sales forecasting. 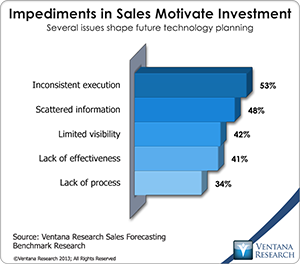 In that analyst perspective, I examined aspects of technology that can make sales forecasting a much more efficient process than it is in most organizations that use software not designed for sales forecasting. Pressure to comply with requirements of the Affordable Care Act (ACA) is a looming challenge for most organizations today. Many go through numerous manual iterations such as running reports and compiling data into spreadsheets from benefits, payroll and HR systems to calculate whether their employees are eligible. As my colleague Stephan Millard explains in “Is Your Organization Technology Ready for the Affordable Care Act?”, the ACA applies to organizations with 50 or more full-time employees who work more than 30 hours a week; individuals not covered by an employer can get insurance through the government. There are a great many details for employers to address in the ACA, and most HR departments lack a smooth process and effective technology to generate the information to determine compliance. 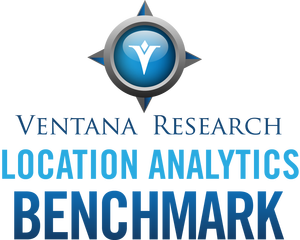 Our latest benchmark research into the market for location analytics software finds significant demand for location-related technology that can improve business outcomes and generate relevant information for various types of users. (Location analytics is an extension of business analytics that can enhance the sophistication of data and processes by adding a geographic context.) My last analyst perspective on this topic discussed the business value of insights based on geography and what organizations are doing to advance their efforts here. 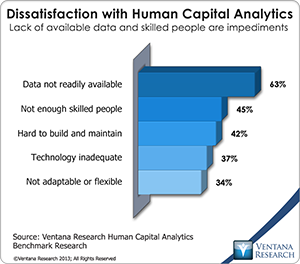 Our research also shows, however, that most still lack satisfaction and confidence in using the technology. Just 12 percent of all participants said they are very satisfied with the location information and analytics available in their organization. Further analysis shows that satisfaction increases with use of a dedicated application for location analytics: 71 percent of those are satisfied or very satisfied, substantially more than those using location analytics within a BI tool (22%); findings are similar for both B2B and B2C use. We find similar levels of confidence in the quality of location information: 15 percent of those using a dedicated application are very confident in their location analytics. Confidence in the reliability of such information is essential to more organizations adopting location analytics.